If you have GIS data or know of GIS data on the Mono Basin, please email us at ! Below is a partial listing of what GIS data exists covering the Mono Basin, who has it, and how it is accessible. USGS Earth Explorer - Download aerial photo mosaics and more! 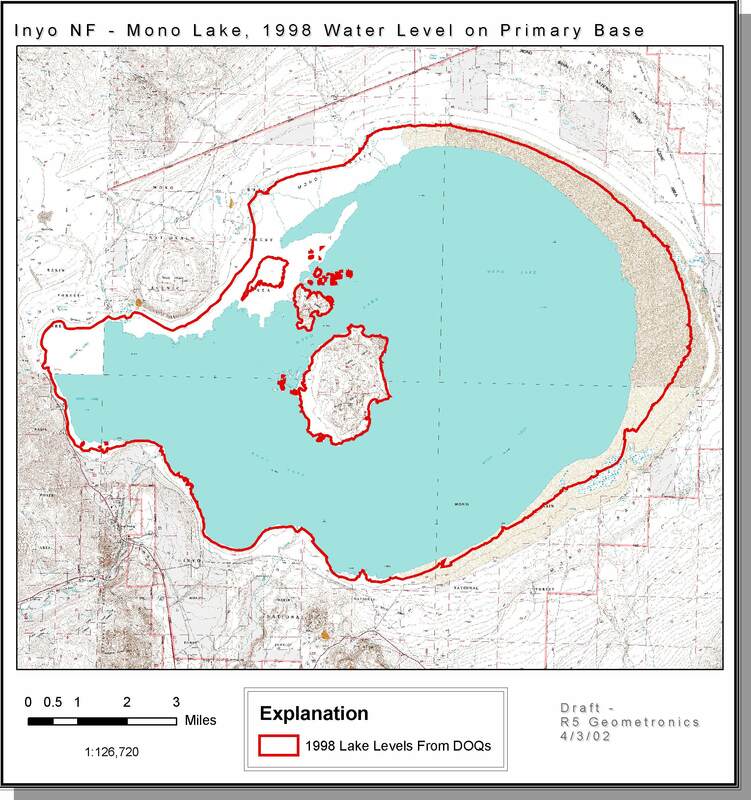 Landsat / Bathymetric Map of Mono Lake, by Christian Raumann, USGS. 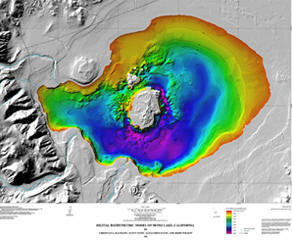 An example of some of the graphics not published with the bathymetric map above. GIS data available - Mostly coastal resources, except National Wetlands Inventory for California.